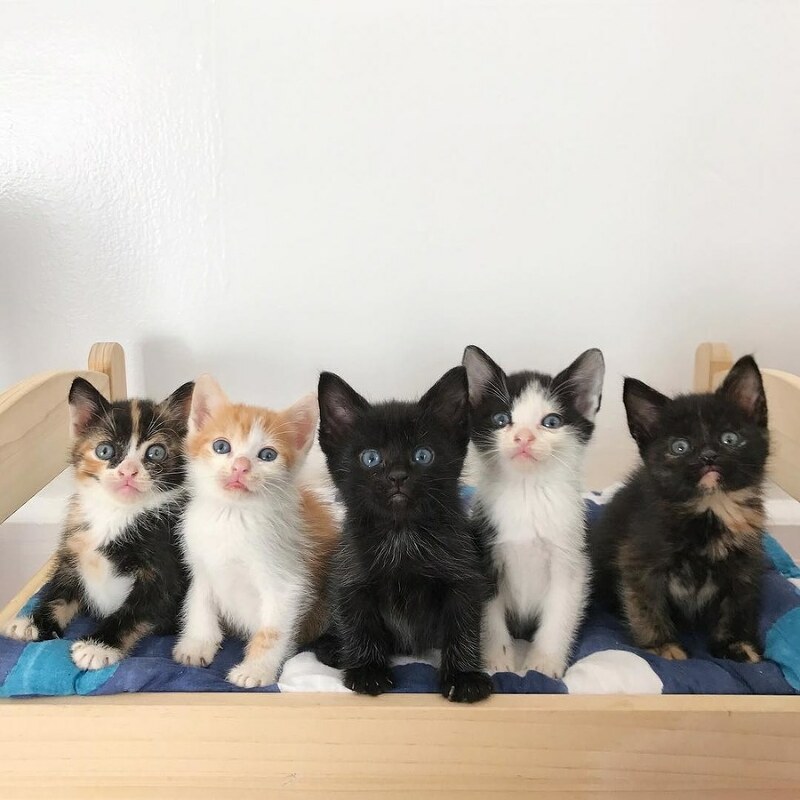 A scrawny tortie cat mama and her seven kittens were taken into the shelter, hoping for a second chance at life. A kind-hearted woman offered to foster the family of eight, and she turned their lives around. Around mid October, Providence Animal Center, a rescue group in Media, Pennsylvania, took in the feline family in need of a foster home. The sweet mama was sick with an upper respiratory infection (URI) and just skin and bones but she never stopped caring for her seven kittens. The momma needed a lot of help herself. When Serena Boleto, an experienced fosterer, learned about their plight, she immediately offered to take them home so Mama Macadamia could rest up and heal. Serena began to wean the kittens as soon as they were ready. Macadamia is a real trooper for caring and nursing her seven kittens despite her own health. Some of the babies required more attention and round-the-clock syringe-feeding. 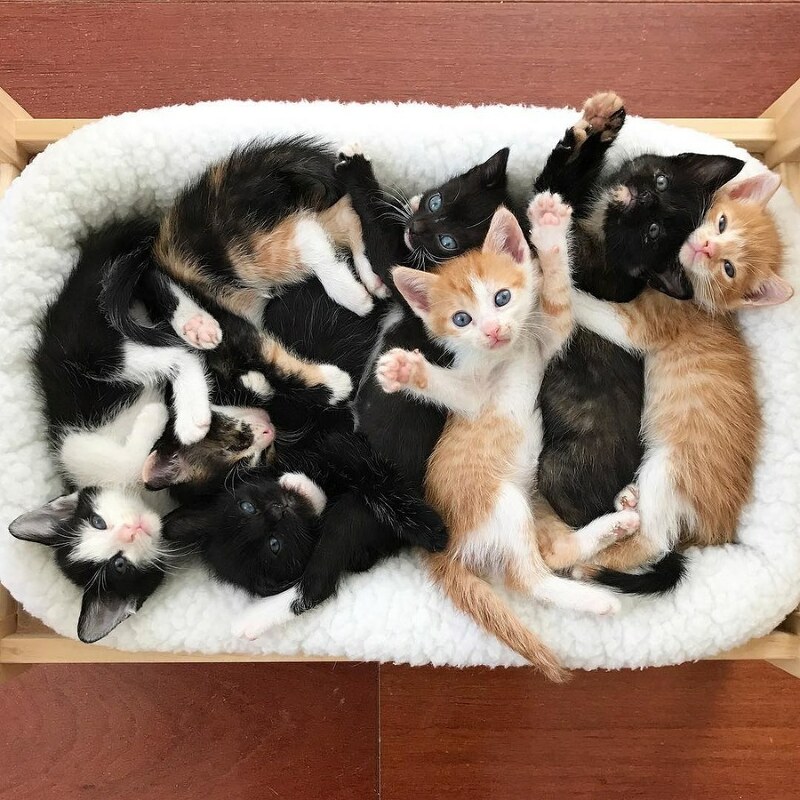 At times, it was so tough that Serena wasn't sure if some of the kittens would make it, but she stayed optimistic and kept fighting for them. All seven fur babies were eventually nursed back to health. While mama was still recovering, the kittens were putting on weight and becoming more playful each day. 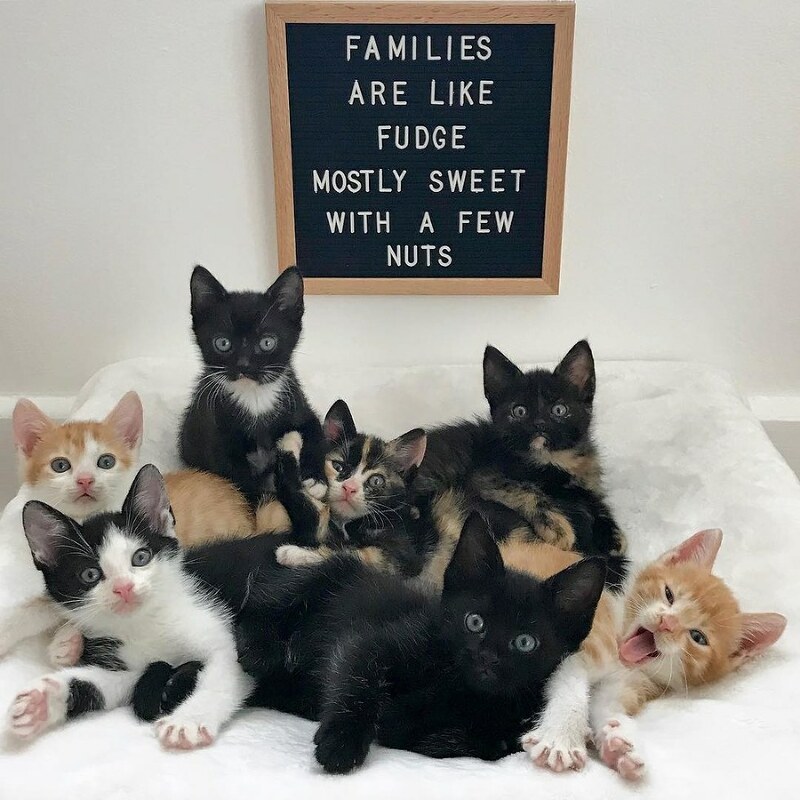 "Walnut is all black, Pistachio is black and white, Brazil is the tuxedo, Pecan is the tortie, Hazelnut is the calico, Cashew is orange with more white, and Peanut is orange and the tiniest," Serena said. "It's the largest (related) litter I've had… Most of the cat moms have been pulled from high-kill shelters. A lot of them are surrendered pets, but there have been a few strays. 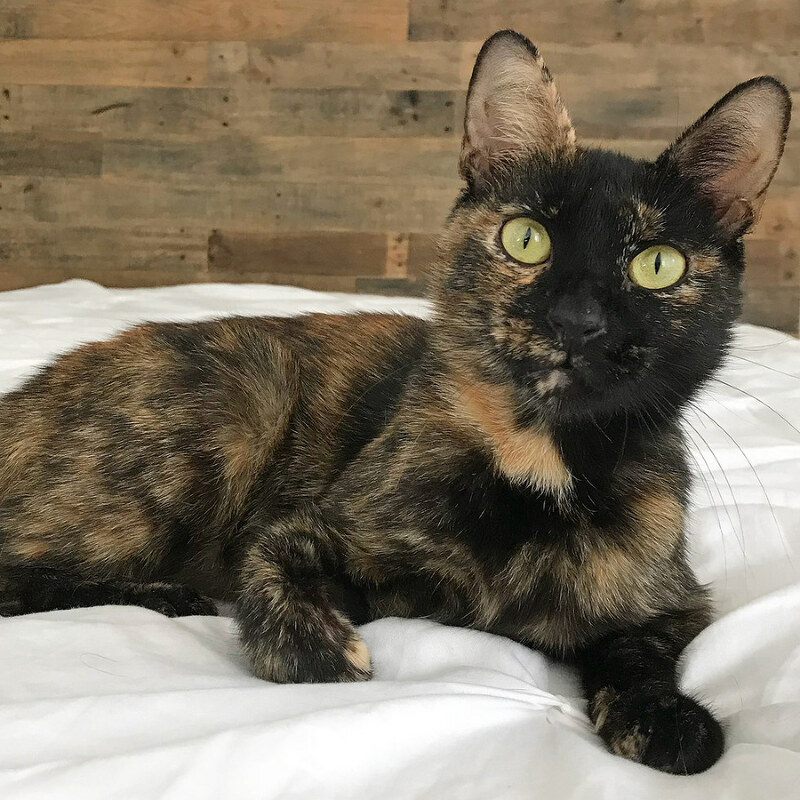 Mama Macadamia is very sweet — climbs in my lap all the time and loves to be pet." When Serena walked into the foster room, Macadamia put the "off duty" sign up and went to take a nap. The kittens then quickly made their way to their foster mom and all settled in her lap. 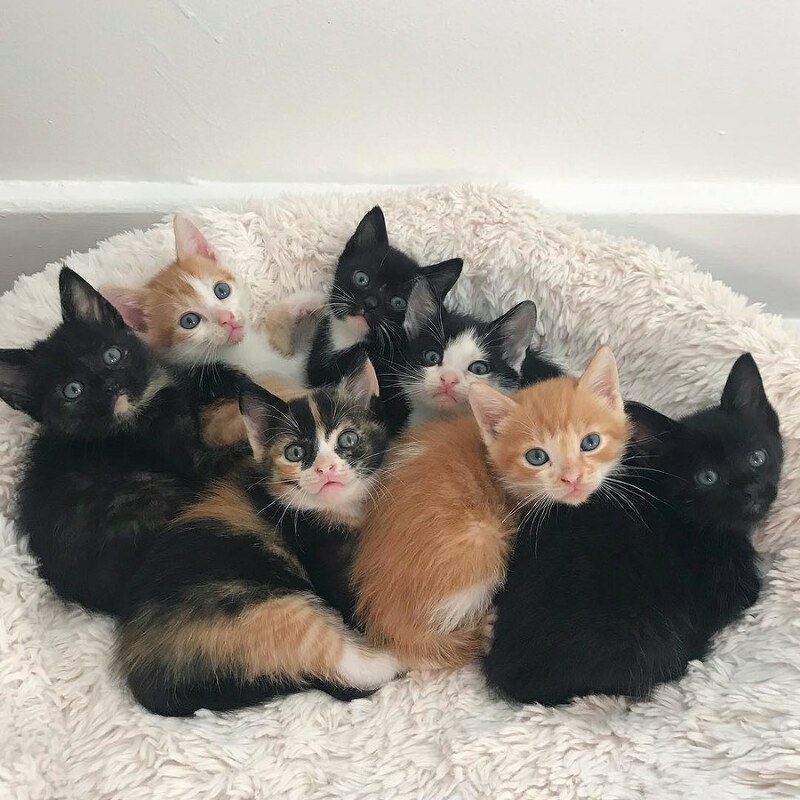 "This entire litter wanted to be in my lap at all times. When I️ tried to get up, I️ removed one, and two more jumped in me. It took forever to stand up and they were usually still clinging to me." 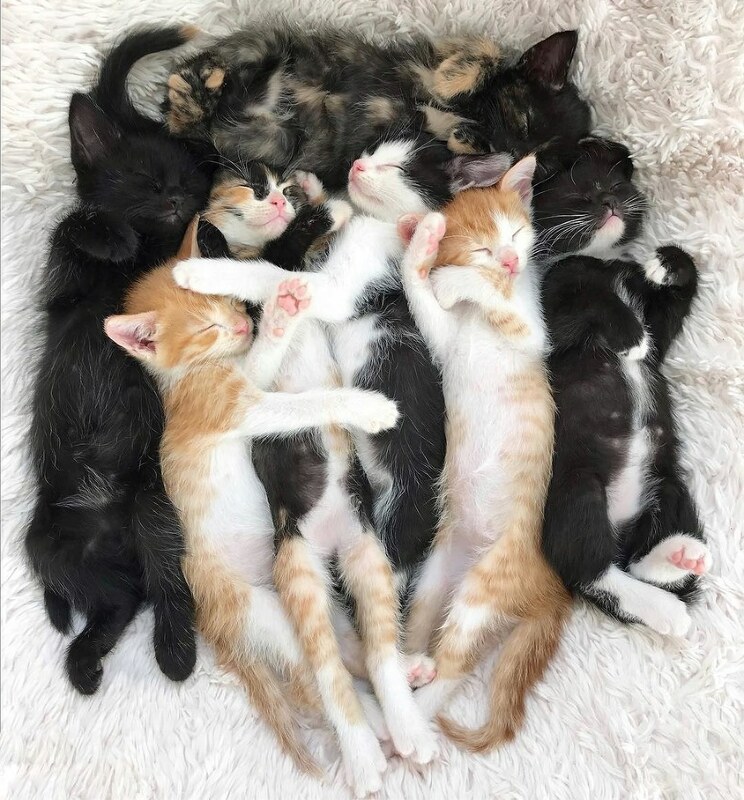 Every day her legs would fall asleep with a blanket of kittens purring all over her. It never failed to put a smile on her face. 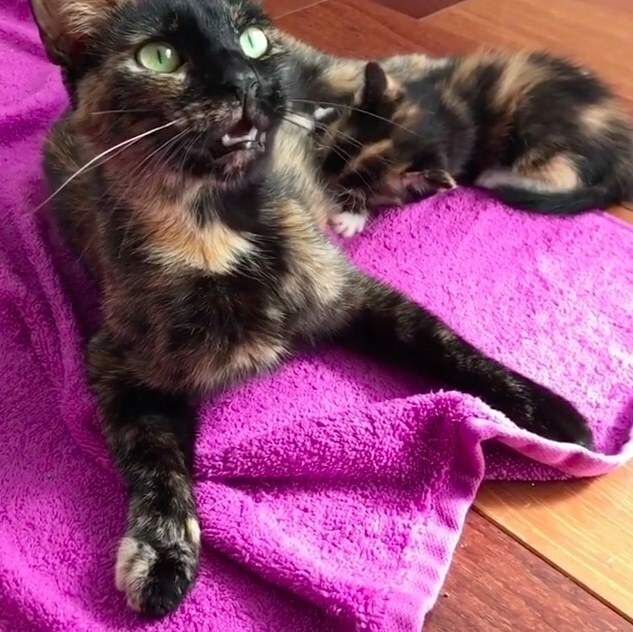 Mama was very patient with her kittens. As she got stronger and put on more weight, she spent more time outside of her room with her kittens. "It's amazing what a healthy diet can do - she managed to gain weight while nursing seven babies." 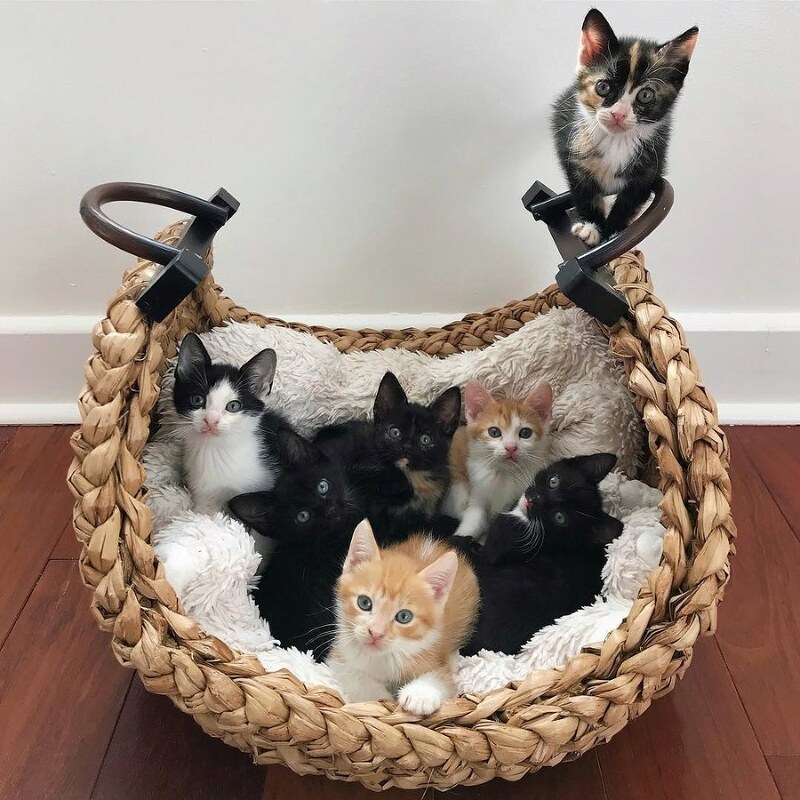 Soon after they were put up for adoption, all seven kittens were adopted out to good homes. It took an extra couple of weeks for Macadamia to find her forever home, but she was adopted just in time for the holidays. Cashew is the most cuddly kitty of the bunch and likes to climb up his human's back constantly. "I can't tell you how happy it makes me that these two were adopted together. 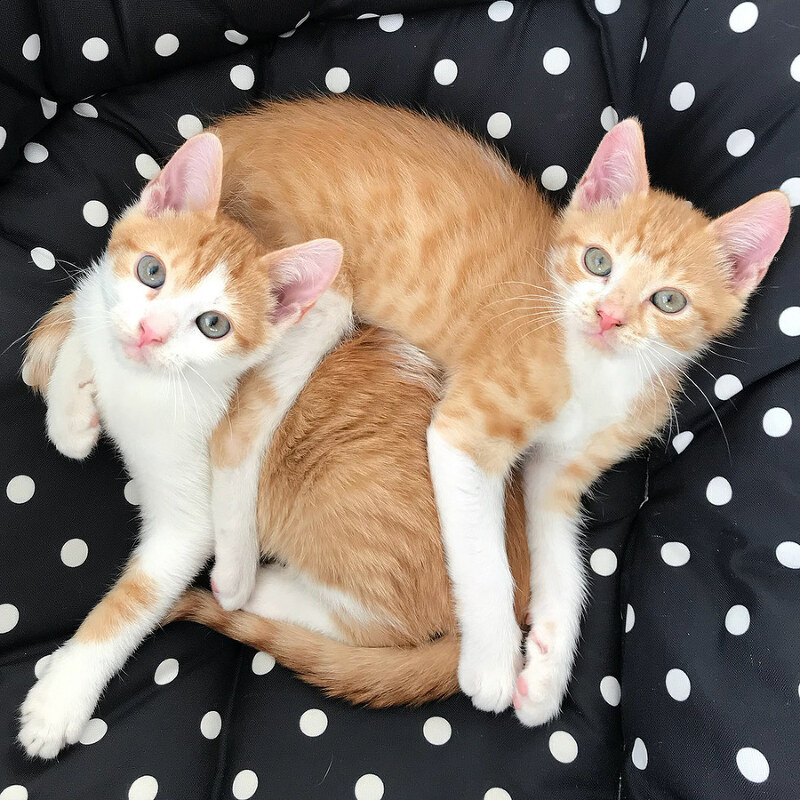 Peanut and Cashew have been inseparable since I brought them home and I know they will make great lifelong companions. Their new names are Trevor and Travis." Sweet mama Macadamia has come a long way! "She now has two tiny humans that will provide endless snugs for her and she will enjoy being the center of attention as an only pet." 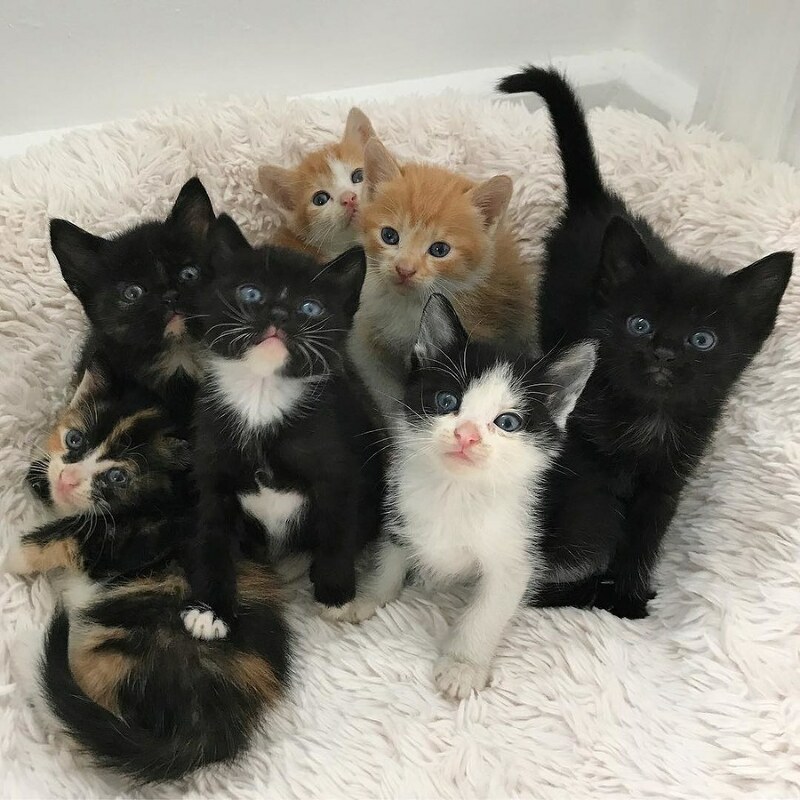 Fostering helps prepare cats and kittens for their forever homes and gives many many more rescue kitties a second chance at life. 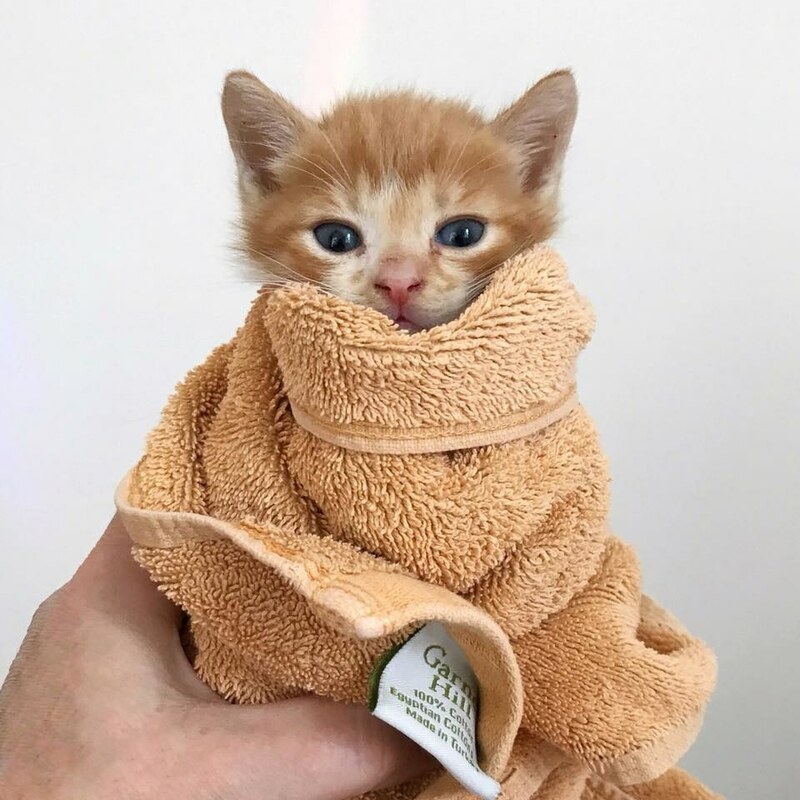 "Saying goodbye might be hard, but if you found the kitten a great home, you can pat yourself on the back knowing that you saved a life... because it means you've opened your home up to be able to save even more animals," Hannah Shaw of Kitten Lady said. 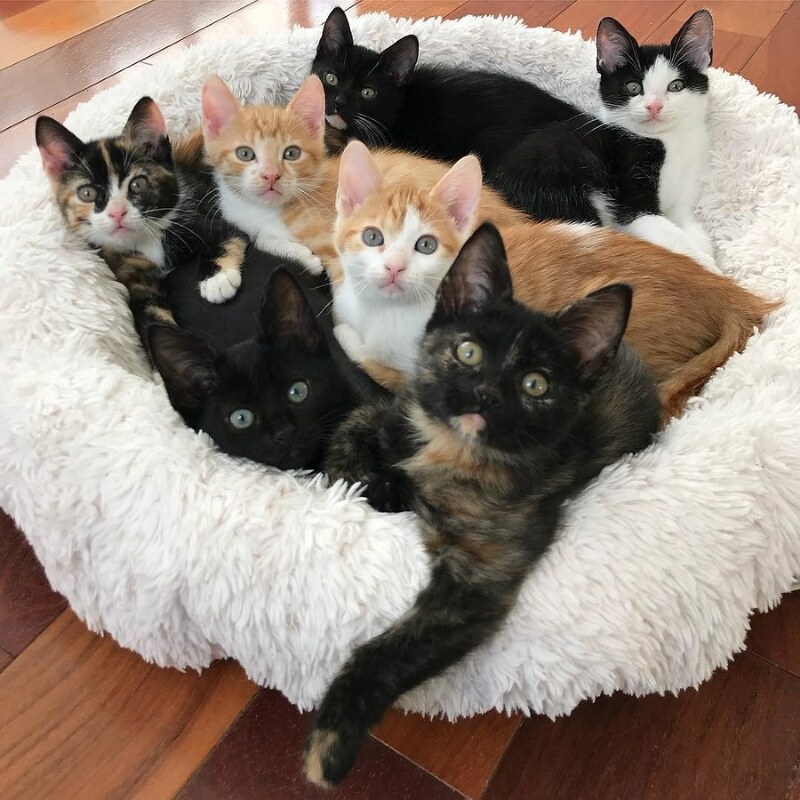 "I had so much fun fostering this amazing group of kittens, and as always, I feel so fortunate to be a part of their journey," Serena said.